Open 08:00-18:00. This piano is designed by Milo Tchais. We tried to play a french children's song "au clair de la lune" without great success ! But it was a nice moment and we share it with this picture. 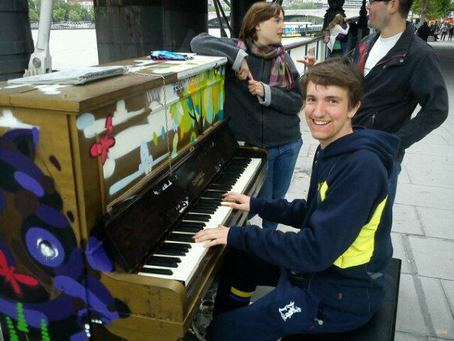 My first piano of the day, great to loosen up the fingers on. 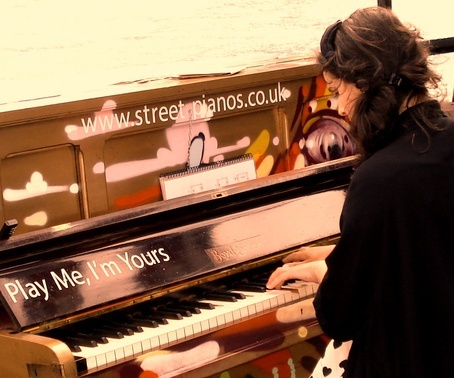 Funky piano - can't wait to see them on the streets of London.